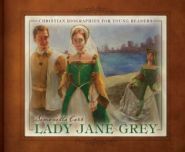 The Christian Biographies for Young Readers introduces children to important people in the Christian tradition. 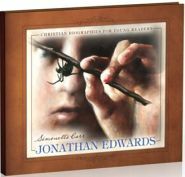 Parents and school teachers alike will welcome the excellent educational value it provides for students, while the quality of the publication and the artwork make each volume a keepsake for generations to come. Furthermore, the books in the series go beyond the simple story of someone’s life by teaching young readers the historical and theological relevance of each character. Scroll down to see the full list of individuals covered in the 14 volumes. A great series to get started on, which author and church historian Simonetta Carr plans to continue the series with one or two new volumes each upcoming year! 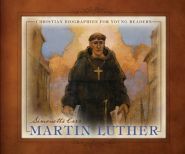 The Christian Biographies for Young Readers introduces children to important people in the Christian tradition. Parents and school teachers alike will welcome the excellent educational value it provides for students, while the quality of the publication and the artwork make each volume a keepsake for generations to come. Furthermore, the books in the series go beyond the simple story of someone’s life by teaching young readers the historical and theological relevance of each character. 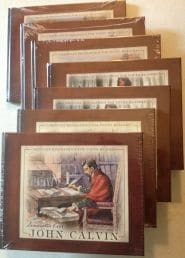 This set of artistically designed, historically accurate biographies for young people introduces children to the life and times of those who preceded us in the faith. Your children can learn about these key individuals of church history. A growing series that is sure to continue to be a lasting blessing. Almost 30% off when bought as a set!